Serial port connected microcontroller based indicator system. The goal has been to make an economical, modular off board system for computer simulations. 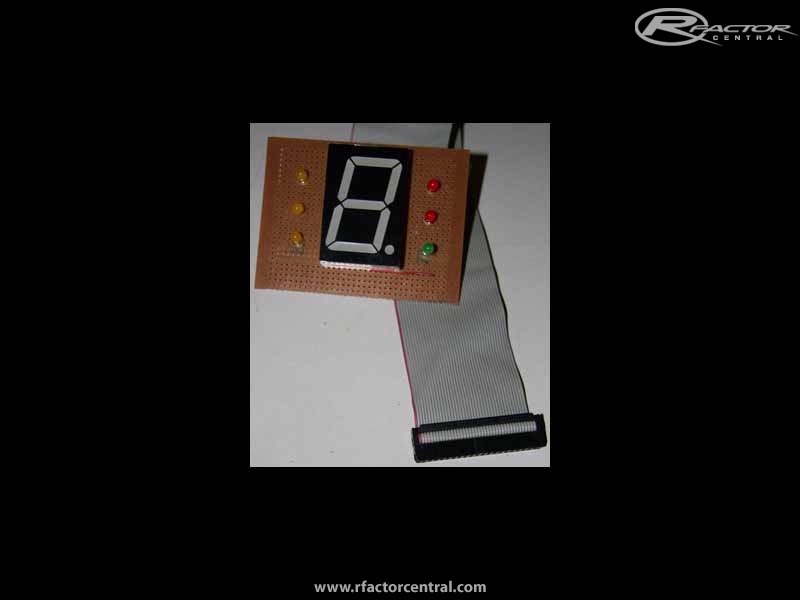 Recycling of components users may already have is a priority along with the ease of construction by using simple vero strip PCBs, readily available from electronics suppliers, requiring no pcb etching etc. The Picaxe version of the PIC chip has been selected due to the easy of programming directly from the serial port and not requiring a dedicated programmer. 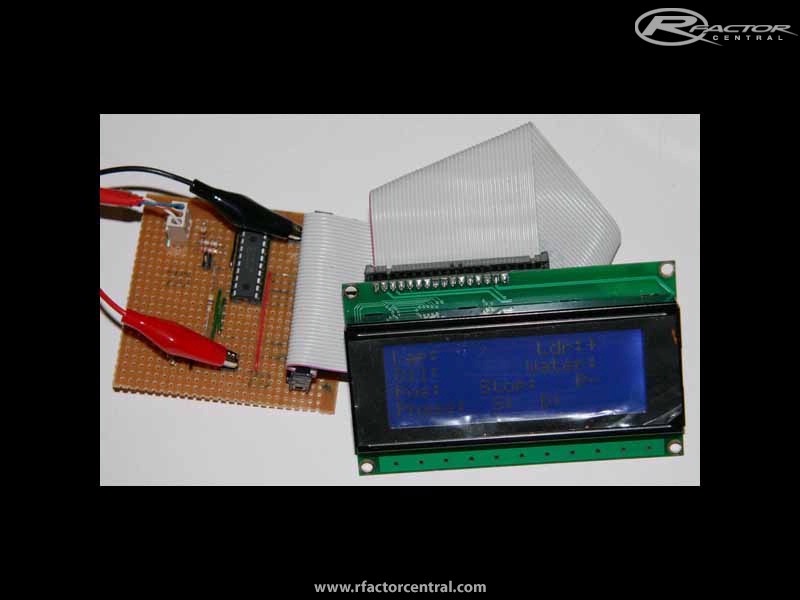 Extra LCD modules and Output driver boards can be connected to the main controller. - eg For flight sims . Output driver boards can be driven by a minimum of 4 wires from the controller. Smaller output options are available by basically splitting the board in half. For cockpit mounting, output boards can be easily daisy chained to various locations before breaking out to the individual indicators and instruments. For greater mounting options the output driver board has the option of a single ide(carrying all 39 pins - to be sent to a further board for diistribution) or dual ide (20+19 pins). USB port powered, depending on options. - for 2 line output, under $10. 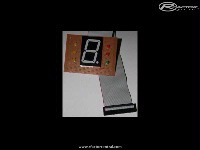 - Gear Indicator board - $2(1" digit) - $5 depending on 7 segment digit size. Notes related to All_Output_Boards jpg. Note: These boards are prototype so have lots of space for testing and modification, the final boards can be much smaller. Top left shows the gear indicator. Top right is the 4x20 LCD and Controller board. Middle left is the Output Driver board - 32+ Led capacity, driven by 4+ wires. (Capacity can be increase up to somewhere over 20,000 outputs - though update speed, power and other issues would definitely become an issue with that many ). Bottom left is an Output Breakout board to connect to the actual LEDs. Bottom right - main controller, no dedicated board as yet. 1. Using a modified version of the plugin, the LCD controller could be connected directly to the PC and used standalone. 2. LCD board is optional. i.e. output board is independent. 3. There is an option of designing a $15-$20 Main Controller board without LCD support, that could drive a similar number of outputs, though variable memory would limit the expansion. When you finish it please post a detailed instruction. good idea. Sorry guys, I ran out of variables, keeping it to a minimum of components. 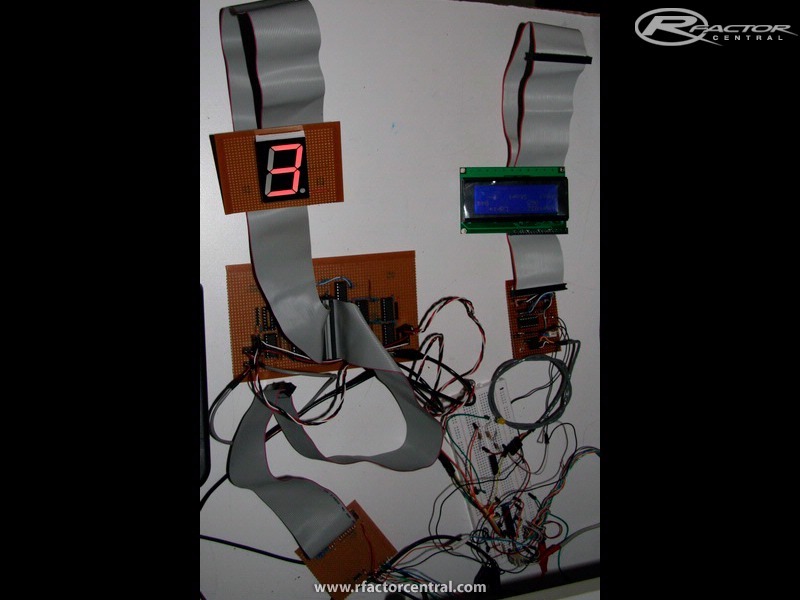 It is still workable as originally envisaged but would require multiple microcontrollers. But, Picaxe now have a new version of their bigger chips which will do all that is required and now can run faster, for the same price. It is still a work in progress, but I imagine it being a few more months before I have the time to dedicate to progressing further. If you've finished it, please send me a list of all used componentes, and how you build it!